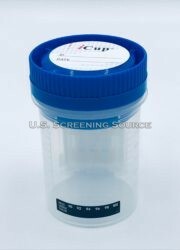 The iCup 13 panel drug test kit without adulteration tests. 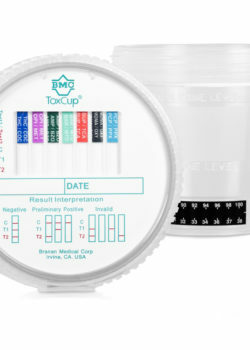 The 13 panel iCup drug test is a self contained drug test kit that does all the testing for you. 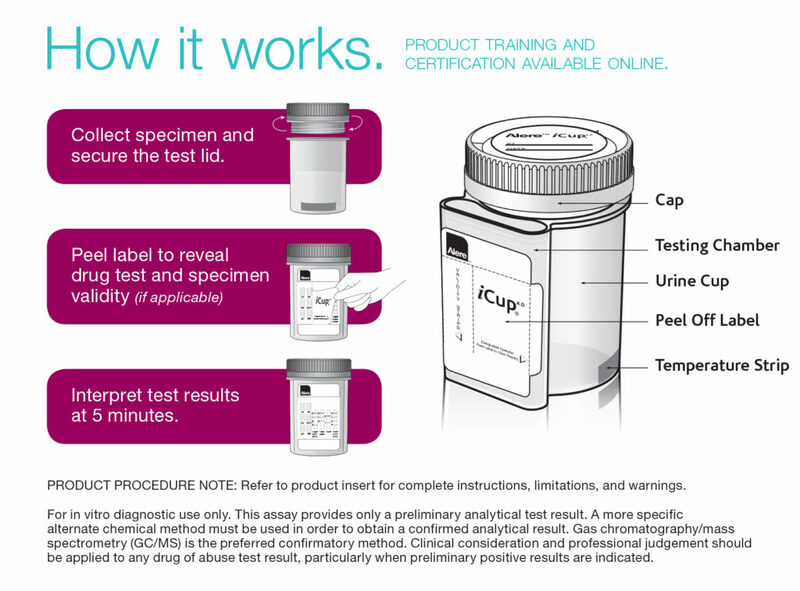 The iCup 13 panel drug test begins to test the specimen immediately. Donor provides specimen and replaces lid. 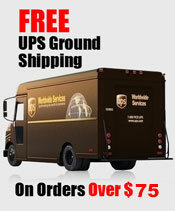 Check cup for tight seal. Donor dates and initials the security seal and places security seal over cap. 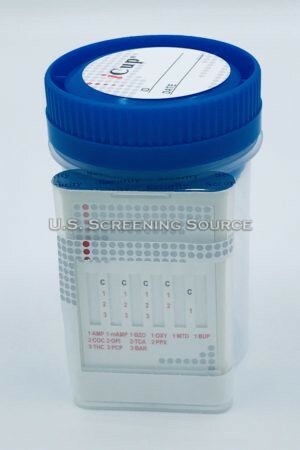 Technician peels off label to reveal drug test strips. 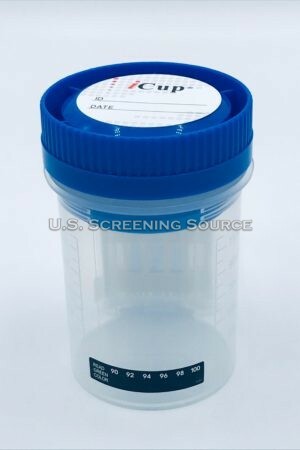 Read adulteration test results between 2 – 5 minutes. 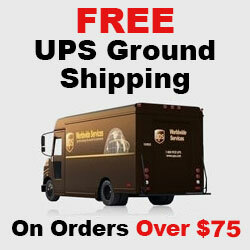 If applicable. Cocaine, Marijuana, Opiates, Amphetamine, Methamphetamine, Phencyclidine, Benzodiazepines, Barbiturates, Methadone, Tricyclic Antidepressants, Oxycodone, Propoxyphene, and Buprenorphine. 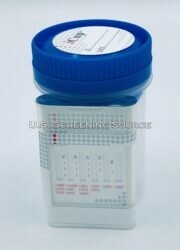 NOTE: The above chart gives approximate detection periods for each substance by test type. 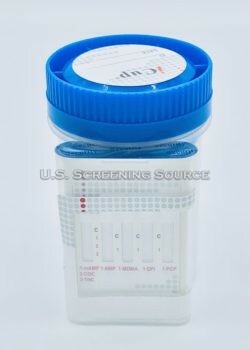 The ranges depend on amount and frequency of use, metabolic rate, body mass, age, overall health, drug tolerance, and urine pH. 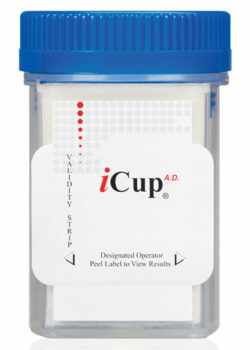 iCup drug tests kits are available in 3, 4, 5, 6, 8, 9, 10 and 13 panel configurations.